Question One: What percentage of your divorce cases eventually settle? If your answer is 80% or higher, go to question Number 2. Question Two: In general, do you believe that the legal process, including the involvement of attorneys, formal discovery, unilateral appraisals and the pressures of trial dates and trial preparation, promotes or detracts from the ability of the parties to cooperate in the future as parents of their children? If your answer is that, for the most part, the stresses imposed by the divorce process can create wounds which take years to heal, please go on. If your answer is in the negative, before leaving, please consider what the answer would be if asked to your potential clients. Question Three: Would you be interested in a system which is consistent with the manner in which most good family law attorneys practice anyway, but would give a level of assurance to potential clients that the harm to their future relationship would be minimized? If you are still reading, this system is called collaborative law. Collaborative divorce has been tried and tested in a number of states and is spreading throughout the country. Collaborative divorce is voluntary in every case. It requires the written consent of both parties, both counsel and the assigned judge. There are cases which are not appropriate for this approach, such as where one party is not likely to be open and honest in disclosing all assets and income or where there is spousal or substance abuse. However, many divorce cases involve none of the above issues. Rather, many involve two reasonably good people who just can’t live together anymore. While they might be blinded temporarily by anger, their long-term best interests require a decent, if not amicable relationship with the other party. 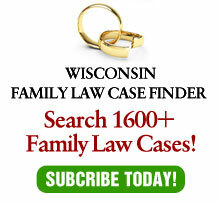 The reason is that in a divorce case, unlike most other areas of law, where there are children — either minor or adult — the relationship of the parties continues after the lawyers go away. The harm the legal process can do to this relationship may fester for years to come. As a result, many people are reluctant to use lawyers for their divorce, preferring mediation or even proceeding pro se. In many cases, this may be perfectly fine. In other cases, having a trained, experienced professional involved may be essential for agreements which are tax- friendly, address all relevant issues and afford parties the security of having their agreement approved by a lawyer charged with their best interests. Where all parties are in agreement, they sign an agreement which provides as follows: There will be no contested hearings or motions. All disputed issues, including temporary issues, will be resolved through negotiations. There will be no formal discovery. All financial information will be exchanged on an informal, voluntary basis. Both parties will make full disclosure of all relevant financial information. Both attorneys will refrain from sending “attack” letters or conducting themselves in any manner detrimental to the future relationship of the parties. Alternative Dispute Resolution methods, mostly mediation, are encouraged but not required. The case will be settled. If it is not – and this is critical – both attorneys must withdraw. The most important part of the concept is the mandatory withdrawal requirement, yet this is the sine qua non of collaborative divorce. Without such a requirement, there are no teeth – the agreement would then be only a statement of intent rather than a meaningful, enforceable contract. Judge Mary Howard Davidson encouraged collaborative divorces for years during her period on the bench in Minneapolis. Calling it “divorce with dignity”, Judge Davidson found that it significantly eased the trauma of divorce on the couples who appeared in front of her, without prolonging the process. In fact, she found collaborative divorces, on the average, were resolved in less time than conventional divorce actions. Today, Collaborative divorce groups are operating in California, Georgia Connecticut, Minnesota, Ohio, Pennsylvania, Wisconsin and other states. Many other states are in the process of starting groups. Although details vary from state to state, it has uniformly reduced the stress of divorce on parties and their attorneys. An umbrella organization, the International Academy of Collaborative Professionals will hold its second annual meeting in Oakland, California on October 6, 2001. The ABA Family Law Section will soon be publishing a definitive book on Collaborative Divorce, written by California attorney, and the leading proponent of the concept, Pauline Tesler. Collaborative divorce is not nirvana, nor is it “peace in our time.” It is, however, a mushrooming trend which answers the prayers of many lawyers who feel that adding gasoline to the divorcing parties’ fire does little good for their clients, the clients’ children or for the legal system we hold so dear.